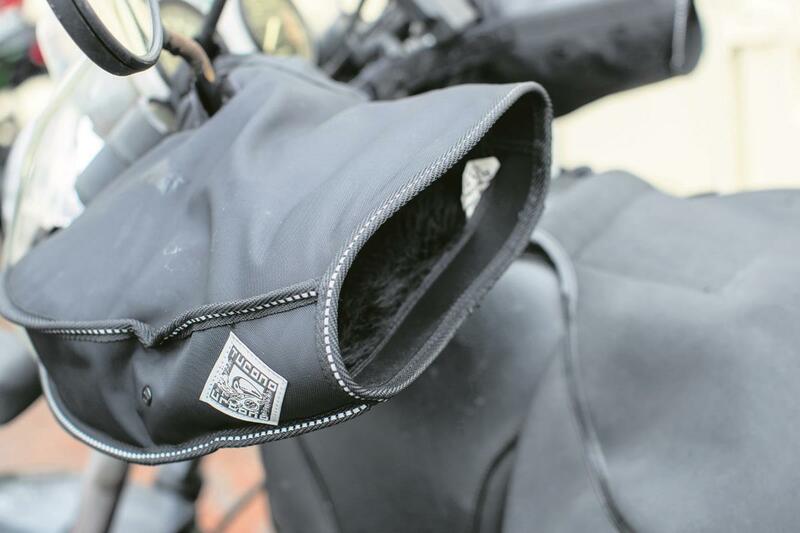 Handle bar muffs are definitely the marmite of motorcycle accessories, but luckily for me I love them! Let’s face it, what’s not to like about having warm dry hands in the middle of winter? The Tucano Urbano muffs fit on easily and quickly, with no need to fiddle about removing handle bar mirrors. Instead, Velcro allows them to be fitted around the bottom of the mirror stems. They are made with a waterproof outer shell, with a soft furry lining to keep your pinkies warm. One bit I really like is the bar, which connects the two muffs together in the middle. This is adjustable to the width of your handlebars via a series of holes. Originally, I thought it was to keep the muffs aligned when putting your hands in and out, but it turns out it’s an anti-theft device. Either way, it does both jobs!